Depending upon whom you ask, it may/might/will rain tomorrow, our field day (obviously, during a drought watch, you should schedule a field day to encourage rain!). Since today's forecast was identical to tomorrow's - and ended up sunny and rainless so far - we are going ahead with field day as planned. If it rains part of the time, we will work around it; if it rains the entire time, we will thank God for the rain and adapt in the Catholic School way. If you have volunteered, please arrive as scheduled and we will go from there... and pray for no rain until 2:30pm! Please join us on Saturday, May 30th to spruce up the landscaping at Holy Family. Sign up using the volunteerspot to help weed, mulch, and plant. Things you can bring with you: gardening gloves, rakes, shovels, trashbags, yard waste bags, and flowers to plant. Click on the title above to access our volunteerspot and signup! We hope to see you there! Click on the title above to view the flyer! For the month of May, the classroom with the most BoxTops wins a special treat! When submitting BoxTops, please do the following: 1. Make sure the BoxTop is not expired. 2. Cut out the BoxTop around the dotted lines. 3. Put BoxTops in an envelope or tape them to a collection sheet (found on the BoxTop website) 4. Place in the BoxTop bin in the classroom. 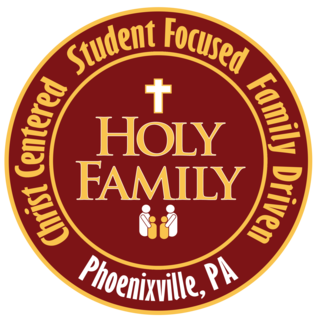 Please consider creating an account at www.boxtops4education.com and select Holy Family School, Phoenixville. You can print more collection sheets, enter e-certificates and print out coupons for products that have BoxTops on them! Thank you for your support! THE HFS DRAMA CLUB PRESENTS OUR SPRING MUSICAL -- "ZOOM!" The Holy Family Drama Club proudly presents its inaugural Spring Musical, "ZOOM!" -- a high-spirited adaptation of the famous "Tortoise & Hare" Fable, certain to delight crowds young and old! The Show Performances will be at St. Mary's Parish Center (212 Dayton Street, Phoenixville) on Friday, May 15th and Saturday, May 16th at 7:00pm. Tickets are $5 each! IF YOU PURCHASE your tickets in advance, you will be guaranteed priority seating in our "best viewing area!" All tickets sold at the door will be General Admission seating! Click on the link above for the Flyer and Ticket Order form. PLEASE JOIN US FOR THE RACE OF A LIFETIME!